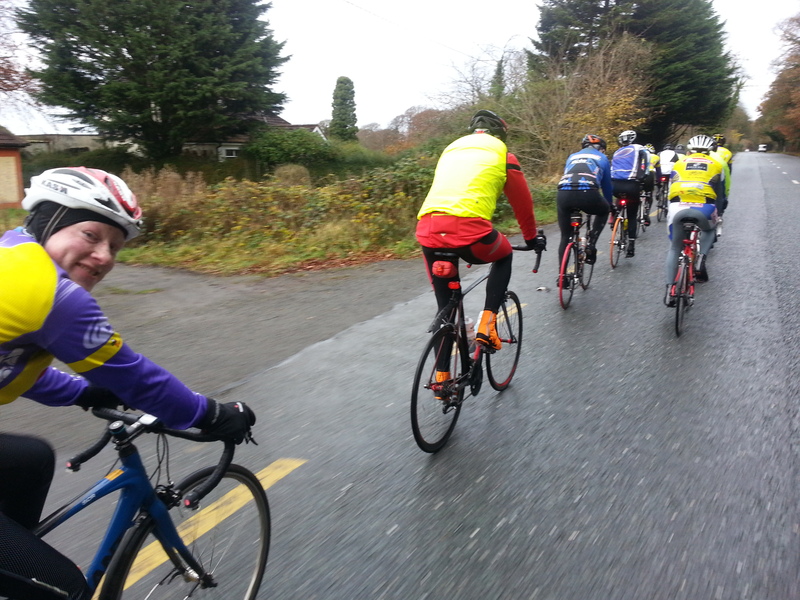 The club Sunday winter training spins are now well under way, leaving Teach na Teamhrach at 9.30AM sharp. This spin will suit those planning to race next year. Early in the winter we keep these at a steady average speed of 27-28km/h for 3-4 hours. Later on, as fitness improves, the pace will pick up a little. Bring plenty to eat and drink, and full length mudguards are greatly appreciated! For those seeking an easier pace, there is a leisure spin leaving Teach na Teamhrach 10:30 each Sunday. Hi Keith, just turn up on a Sunday morning for the 10.30 spin. There should be someone there to take your membership fee but if not you can still go on the spin and there will be a membership night in early Feb.